Hemp protein is a popular choice for a nutritional supplement but is hemp protein good for you? It is indeed good for you, as it meets all the criteria for being a ‘complete’ protein by having all 8 essential amino acids. Plus, it has a nice balance (3:1 ratio) between omega-3 and omega -6 fatty acids and is high in polyunsaturated fatty acids. This makes it very beneficial for cardiovascular health, preventing coronary heart disease and atherosclerosis (hardening of arteries), and naturally lowering blood pressure. 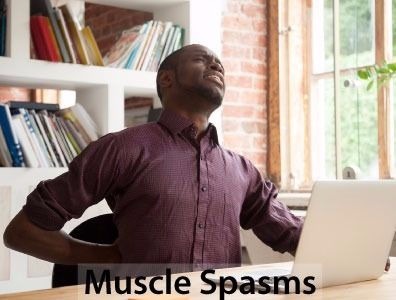 Plus, it also prevents osteoporosis. So is hemp protein good for you? You’re darn right it is! Let’s look at it in greater detail now, including hemp protein pros and cons. One of the most common misconceptions around human nutrition is the belief that protein is derived exclusively from meat. That is one source, and the primary source for many people. The problem with it is that it comes with fat and other less-desirable nutritional elements, and for anyone who’s vegan or vegetarian eating meat isn’t an option to begin with. 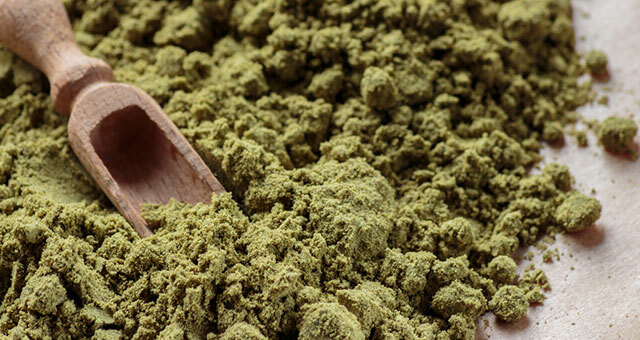 Hemp protein is one alternative to animal protein, but some may be wondering if hemp protein is good for you and is it the same quality source as whey or other protein supplement alternatives. 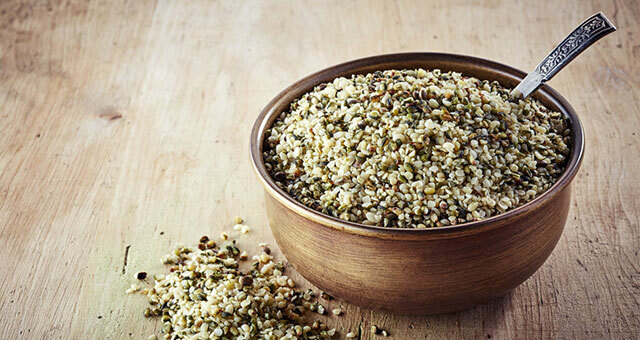 How is hemp protein good for you? Let us count the ways. It has loads of soluble and non-soluble fibre to clean the colon, and is an excellent choice for vegan protein, with 20 amino acids including the 9 essential ones the human body can only intake from dietary sources. It’s a good choice for those who have food intolerances with nuts, gluten, lactose, and sugar. There are no known allergies to hemp, making it even easier to understand how is hemp protein good for you. 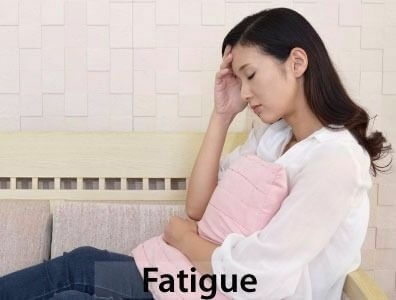 It is also reported to improve fatigue and fortify the immune system function via globular plant proteins edestin and albumin. These proteins dissolve easily and enhance enzymatic functions in the blood. Hemp has the highest levels edestin of any plant in the world. 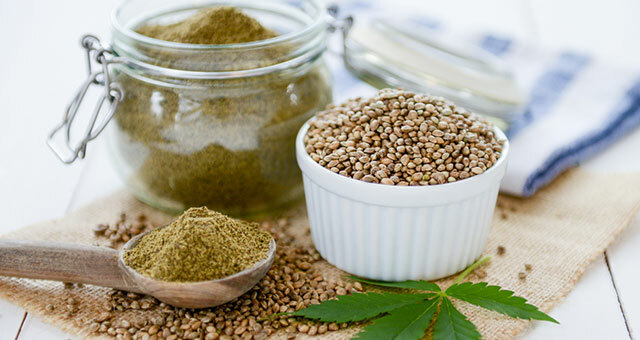 In addition, the hemp seeds that make up hemp protein do not have trypsin inhibitors and oligosaccharides that are commonly found in other plant-source proteins and limit the extent to which the protein can be absorbed by the body. 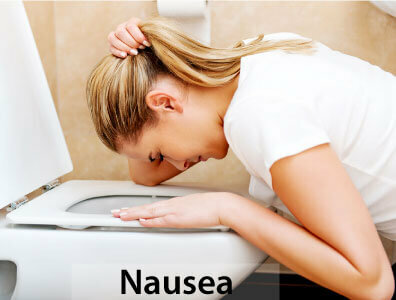 Oligosaccharides can also cause gas and upset stomach. The one drawback here isn’t going to change the answer to the question is hemp protein good for you. It is true that hemp protein is not a complete protein source because it is inherently low in lysine (a rate limiting essential amino acid) and somewhat low in leucine. One other thing to note is that it generally tastes less pleasant than other protein supplements. For those that don’t already know, we should mention that there is no correlation between hemp protein and the psychoactive effects of cannabis. Cannabinoids in hemp protein are NOT ones that are capable of binding to endocannabinoid receptors in the human body and promoting psychoactive or physiological changes. Any consensus on is hemp protein good for you should not be swayed one way or the other by any type of erroneous association with the cannabis sativa plant. Mix all together in a blender at high speed for 30 seconds. Pour and serve immediately. Enjoy all the hemp protein goodness. Is hemp protein good for you? Yes, it is! 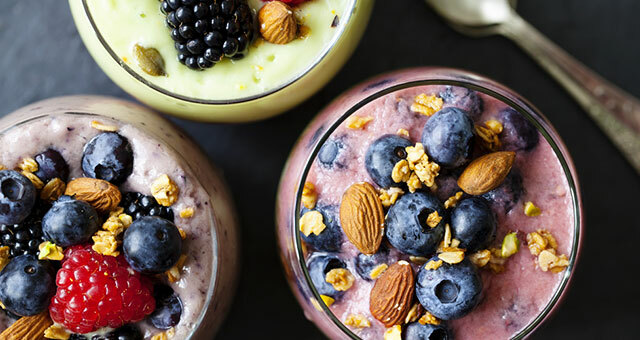 And turns out it can taste pretty good in a smoothie too. Curious to know how long do edibles last? The high from marijuana edibles last about 4 to 6 hours on average. 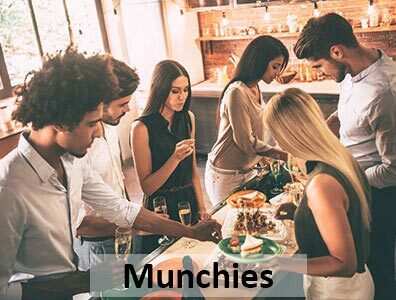 Understand however that if you ingest a large quantity of THC through an edible, you are likely to experience a high lasting up to 12 hours depending on the amount you consume. Another slant on the question how long do edibles last, is how long THC remains potent in edibles, or how long does the THC stay in your system before it is eliminated? We’ll touch on those takes on the question below, but first we’ll discuss how long you can expect to be high for after you consume edibles. It will be helpful for us to start here with a basic clarification on how THC is synthesized differently when marijuana and its THC are ingested via an edible product. In these instances, the THC is converted into 11-hydroxy THC rather than remaining as 9-delta THC, the standard form of the cannabinoid that you experience as you smoke. 11-hydroxy THC is 10-15 times more psychoactive than 9-delta THC. 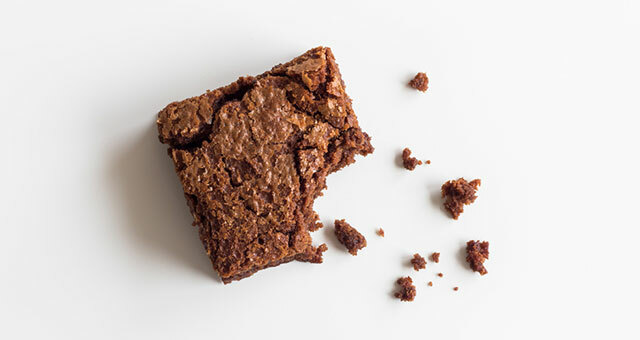 You can and should expect to have a more powerful high from eating edibles. So, we’ve now established how body function processes dictate that a stronger high comes from eating (or drinking) marijuana compared to smoking it. It’s an important point to make, but it doesn’t expand on the answer to our question of how long do edibles last. You will experience a delayed response to the THC due to the fact the liver metabolizes it rather than it passing straight into the bloodstream via the lungs when smoking. Typically, this is 1 to 2 hours after ingestion, and a whole host of factors can play into variances here. We’ll discuss them in greater detail below. The peak high usually occurs 2 to 4 hours after ingestion. In reference to point 1, there are 4 factors that dictate how quickly you begin feeling an edible marijuana high. The first is your body mass, or more technically your BMI (body mass index). In the same way it is for alcohol, a lighter weight person will begin to feel the effects of orally-ingested marijuana more quickly. A heavier person won’t experience the same response for a much longer time, and as such their answer on how long edibles last will be different. They won’t begin to feel high as quickly, but accordingly they’ll be high for longer once the effects kick in. 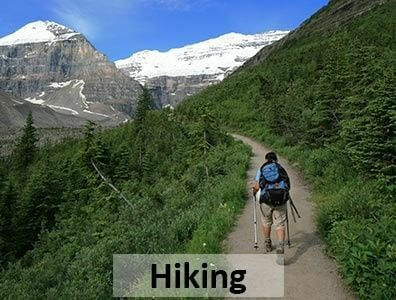 Next is the role your metabolism, or basal metabolic rate, affects the speed with which you start to feel high. Generally speaking, younger people have a faster metabolism. 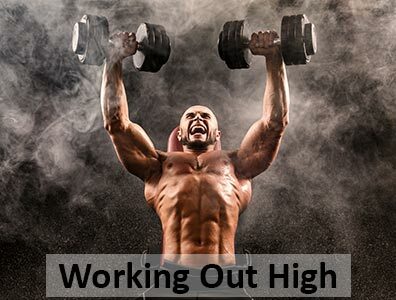 If you’re in the physical prime of your life, then you’ll likely get high much more quickly. Whether or not you’re ingesting edibles on an empty stomach is also a factor to consider. 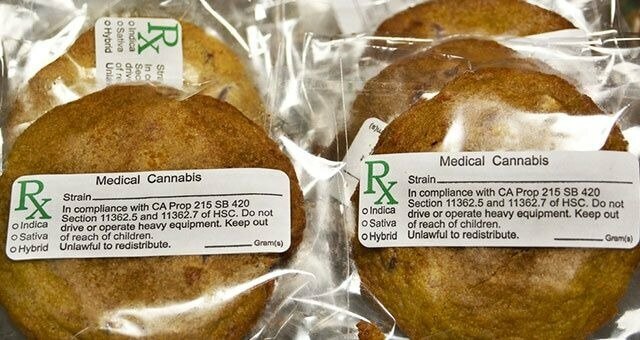 Eating edibles without anything in your stomach will result in you getting high more quickly. 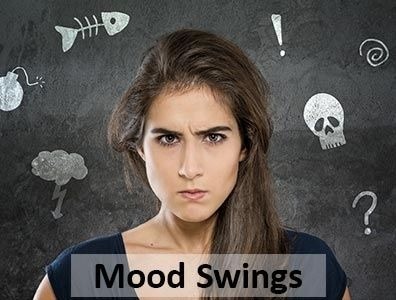 However, this usually comes with a much more powerful peak period that many people will find overwhelming. The recommendation is to eat them with at least some food in your stomach. This will both delay the onset of the high and make it much more pleasant / tolerable. The last consideration for how long do edibles last is the most basic of the bunch; if you’re an experienced user with a high tolerance for THC then you will have a slightly delayed onset and less overpowering response to it. Also, certain prescription medications can speed up or delay your response to edible marijuana. Our discussion of how long do edibles last needs to also include a brief discussion of additional variables. Ones that also play a role in determining the timeline for how long you’ll be high after eating marijuana. First, you should consider that the concentrations of THC are often unevenly distributed across batches of unbaked product. One weed cookie may be packing much more a THC wallop than other identical cookies from the same batch. For this reason, the best advice is to eat small portions of the edible at timed intervals to control your high. 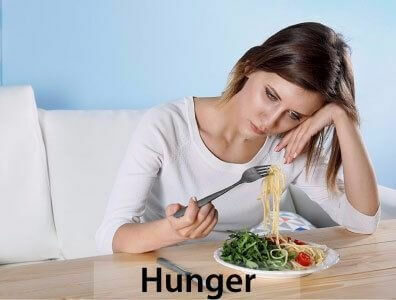 Waiting at least 1.5 to 2 hours on average before eating more is a good guideline. 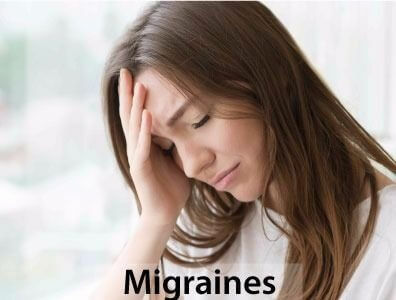 5mg is the ideal starting dose, and 10mg for experienced cannabis users. Do not make the ‘it’s not working’ mistake and consume more thinking you haven’t ingested enough to get high. First time users should not exceed the 5mg dose guideline, and particularly if the product contains high-test marijuana. In addition, cooking for a longer time at lower temperatures improves the decarboxylation process and creates a higher potency product. Something to consider when baking your own and wondering how long do edibles last. The THC in marijuana edibles does not lose potency, and this is true even if you freeze them. However, the same does not apply to the rest of the ingredients that make up most of them. If the edible contains ingredients that can spoil, then it may spoil and render the product inedible. Smell tests will usually suffice here. In reference to how long do edibles last as far as their shelf life is concerned, the THC will remain potent indefinitely. However, the delivery vessel for it may not depending on its ingredients. One quick note before we go – cannabis coconut oil can last a long time without refrigeration as compared to cannabis butter. The same argument that’s been going on for decades about the chicken or the egg coming first could also be had for the seed or the plant. The same way an egg produces a chicken – but it takes a chicken to produce an egg can – can be said for plants too. No seed means no plant to grow, but there’s nothing to produce a seed without the plant. Now that marijuana is legal in Canada, you can grow your own marijuana at home. 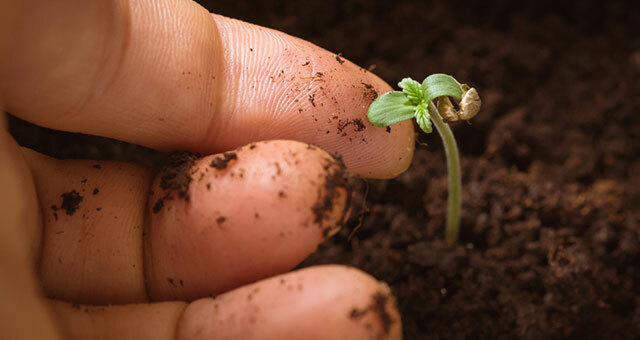 Now, you can skip the evolutionary beginnings ponderings and get right down to it; You’re going to need cannabis seeds if you want to grow cannabis plants. The availability of cannabis seeds in Canada is about to become a reality. While you would acquire them through more shady means in the past, you can now buy your marijuana seeds legally. The array of choices between different strains is sure to appeal to anyone who ingests marijuana for recreational or medicinal purposes. Growing a plentiful and quality yield of marijuana is just like any other crop. There’s a lot of know how out there that can allow a novice grower to avoid the pitfalls that many fall into as they try to grow their own for the first time. As is the case with nearly any new venture or hobby, it’s best to become in the know before you start ordering marijuana seeds for sale. So what exactly is the best, and most reliable way to buy cannabis seeds online? We consulted with a few experts and learned the following. The best place to start is to ask questions that are more related to your infrastructure capacities and time / $ budget for growing. How much space do you have to work with for your grow? Are you looking to have a perpetual harvest? What’s your budget like for acquiring the hardware and materials needed for growing? Do you have a dedicated area for cloning and seedling germination, vegetative growth, and flowering? And perhaps the most important one – how much time and effort are you willing to put into your grow? And if it starts to demand more of your time than you planned for then can you find that time? Next, we strongly suggest that you become knowledgeable about the ins and outs of growing marijuana on your own before ordering cannabis seeds in Canada. You should learn about Ph levels, nutrient needs according to different strains, growing medium choices, CO2 balance, ventilation needs, and floor coverings. And when your marijuana seeds finally do arrive, pay close attention to yield information on the seed bank repositories and in the ‘grower’ information that is sometimes also provided. Growing indoors? Take greater chances of mould growth into account. Space limitations? Choose a strain that takes well to clipping so that it bushes outwards. Make sure you’re not ordering seeds that will grow into 6’+ mature plants. Plants that grow too large or their environment start to choke each other out. Plants that will top out at a height of 40 to 70cm are perfect for smaller rooms. 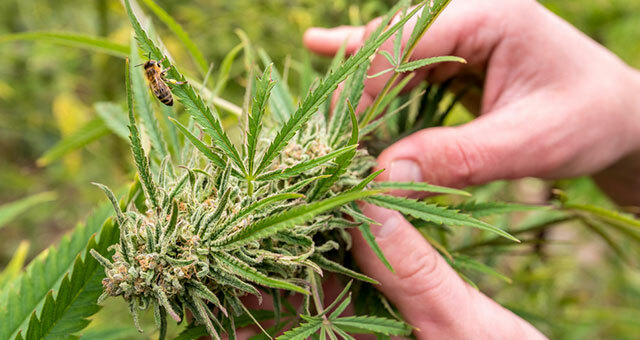 Seeds are degrading in quality the entire time after they’ve dropped from a pollinated cannabis plant, and so for that reason have your supplies ready to go. This means all of your materials and other resources have been acquired and ready to put into place to accommodate and plant your sprouts. If you need a predictable and consistent timeline for your yield then you’ll want a plant that has been crossed with a cannabis ruderalis strain. However, these types of plants may yield less bud than ones on a photosensitive (lighting strength and duration) timeline. Regular and feminized seeds are a better choice for those who can be patient and really want to learn the true art of growing marijuana. More strain and characteristic choices will appeal to people with discriminating tastes when it comes to their pot. In addition, these plants have the ability to become very large, bushy, and strong. 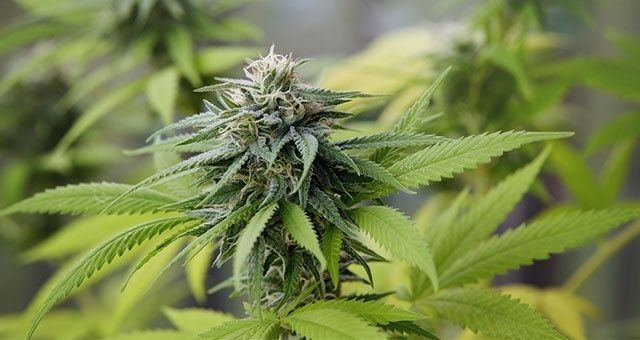 Plants predicted to produce anything more than 600 grams of marijuana per square meter and labeled as being ‘tall’ are ideal for extended vegetation cycles and cooler night time cycles. Lower yield varieties and with the label ‘medium’ or ‘short’ are best for garden or patio growing or growing indoors. Good marijuana seeds have desired traits from both the male and female sides guaranteed, due to these traits being stabilized across previous seeds and producing a variety of different phenotypes for that strain. Buy cannabis seeds in Canada from a reputable and patient breeder to ensure A-grade seeds 90% of the time. 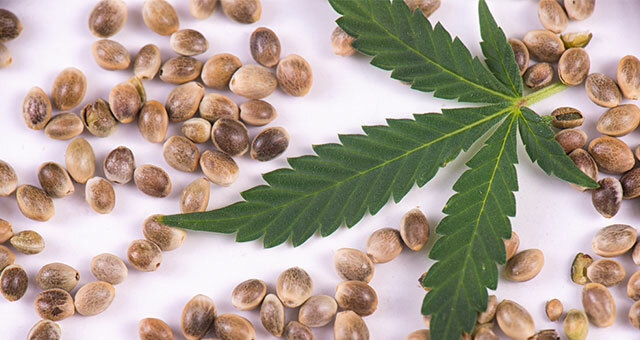 Feminized Cannabis Seeds – Quite common on the market, and their distinguishing characteristic is that they are in a hermaphroditic condition. 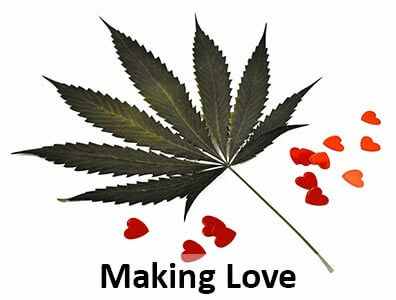 This means they share qualities found in both male and female hemp plants. Feminized plants offer the grower reliable uniformity with his or her yields. This is because feminized seeds are often nearly identical to the self-pollinated female plant that produced them. Most growers, however, are pretty lax about ensuring the stability of the female lineage. As a result many of these seeds end up producing hermaphrodite plants that may or may not end up with seeds in the bud. For this reason, feminized marijuana seeds are not a popular choice for inexperienced growers. Auto-Flowering Cannabis Seeds – Most cannabis plants begin flowering when the photoperiod (the length of time they have light each day) goes down to somewhere between 12 and 14 hours. An auto-flowering plant is of the cannabis ruderalis variety, and it will flower when the plant reaches a certain age and completely independent of periods of light exposure. This makes these seeds an excellent choice for those growing marijuana in Canada. Summers are shorter than elsewhere and wet, cool weather arrives early in the fall. In most cases they will flower during the longest days of summer in such areas and make the best use of the ideal light available. How Much Does One Ounce of Weed Cost? One ounce of weed will cost between $140 and $180 Canadian dollars as a general guideline. This amount will vary depending on the quality of the strain and the individual retailer. The general rule to this is the higher quality the strain, the more that one ounce of weed will cost. If you want to maximize value, you can always buy in bigger quantity and go for 16 ounces, or 1 pound of weed. But, how much will that set you back? A pound of weed in Canada tends to cost anywhere between $2,500 and $3,000, again depending on the quality of the strain and the availability. Of course, one of the major benefits for the consumer is that marijuana is now part of a market economy. As such, the price of marijuana will now be set by supply and demand, as well as competition. So, while the above guideline is a sound suggestion about what you should expect to pay, it may be more or less than that. 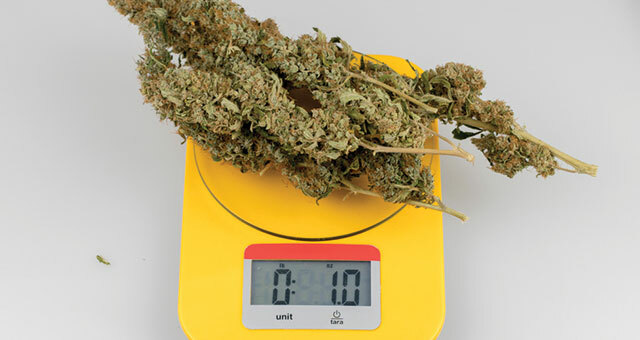 How Much Weed is One Ounce of Weed? With marijuana for sale in Canada, the smallest singular unit you can now buy is one gram, followed by 3.3 grams which is an eighth of an ounce. The next quantity you can buy is the 2 eights that make up a quarter-ounce, or the 2 quarters that constitute a half ounce. The largest standard purchase unit for marijuana is one ounce, which is the always the best value! Asking how much an ounce of weed costs is going to be is a common question from here on out, so let’s tackle it here. The reason for the volume difference is that Sativa plants tend to grow tall and slim, while Indicas are short and bushy. This means that Indica strains have a lot more buds, which means volume. Indica plants are also hardier and are easier to grow in different environments. Because of this, Indicas typically produce a more consistent yield. Another factor that can come into play with the price of marijuana is whether the bud is a ‘finished product’. Now that marijuana is available for a standard retail market, it is likely that all product sold will be a finished product. What this means is that the marijuana will be thoroughly dried and – more importantly – cured. Curing is very important to allow the weed to achieve its greatest potency. Before legalization, it wasn’t uncommon to be able to buy ‘unfinished’ product for a lower price per unit. But as mentioned above, unfinished marijuana is not yet dried and / or cured. While the cost advantage is clear, the drawback to this is that you must dry and / or cure the product yourself being enjoying it. It is now unlikely that licensed retailers will sell unfinished product. But, you may still find some retailers that will sell unfinished product at a lower price. Buyers paying average prices for marijuana in Ontario, Quebec, and British Columbia have a ‘significant and positive relationship with quality. Higher quality cannabis commands higher prices in these regional markets. Prices tend to be lower in Provinces associated with higher cannabis production. Consequently, they tend to be higher in those where the cannabis is not produced locally. Statistics and trends state that the prices for cannabis are decreasing in Canada. This trend will almost certainly pick up even more traction now that legalization is in place. 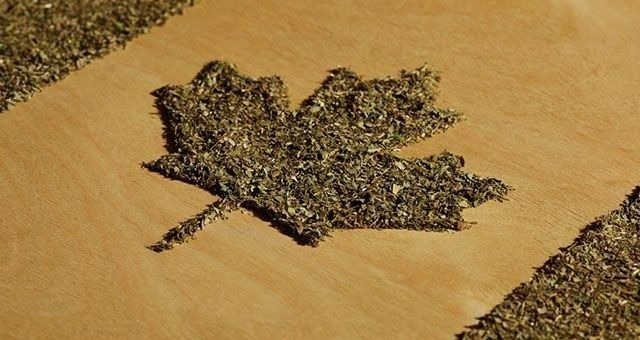 The average THC content for marijuana purchased in Canada is 15.24%. And there is reason to believe there is significant heterogeneity within THC across cannabis strains. We’ll wrap it up today with a new reality some of you may not have thought about. 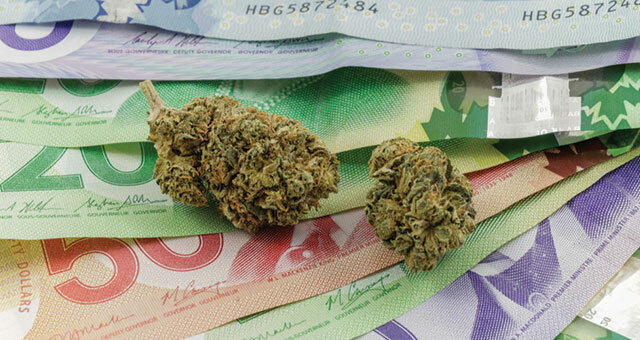 When paying for your cannabis in Canada, you’ll now be able to do it with your credit card! I don’t know about you, but for me the first time I tap my card at a pot shop is going to be a very watershed moment in really grasping the reality of the new legality of recreational marijuana. When discussing the constituents in marijuana, one of the abbreviations is much more recognizable and renowned than the other. It’s safe to say that most people familiar with cannabis know what THC stands for – tetrahydrocannabinol – and what it does. 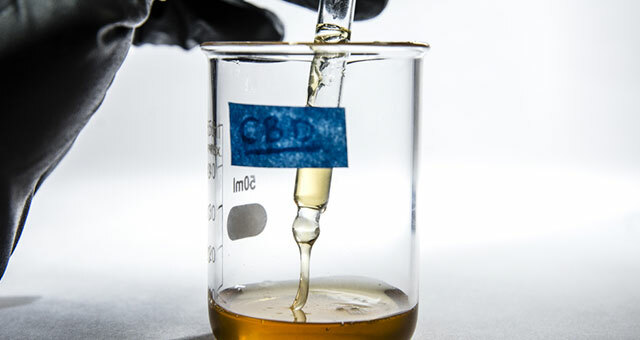 Even though CBD – cannabidiol – is very much THC’s equal when weighing the make up of marijuana, most people aren’t aware of it or how it contributes to the marijuana experience. High CBD strains aren’t as high-profile as high THC strains, but there’s some pretty straightforward reasons for that. 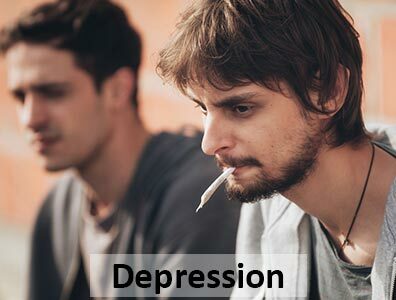 THC is responsible for the psychoactive effects of marijuana, and that’s the sensation that most recreational users of marijuana are after AND the same one that has lead to the drug being villainized the way it has been for decades. CBD, on the other hand, doesn’t promote psychoactive responses and takes a bit of a back seat to THC in the notoriety – good or bad – department as a result. 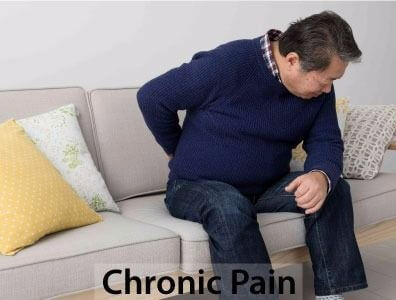 What CBD strains of marijuana do have, however, is an ability to work with the human body’s endocannabinoid system to provide relief of many painful or mentally / physically debilitating conditions. 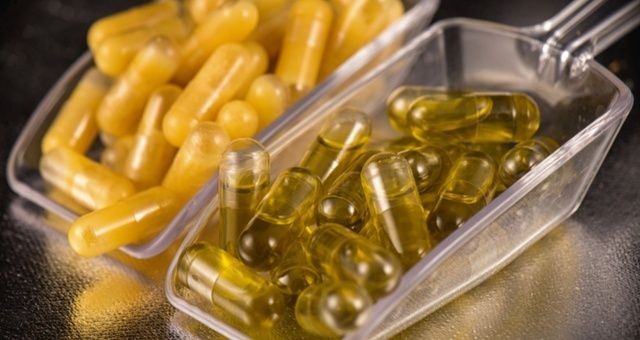 If you suffer from one of them and are wary of relying on pharmaceutical cures, then CBD rich strains are something you might want to consider. 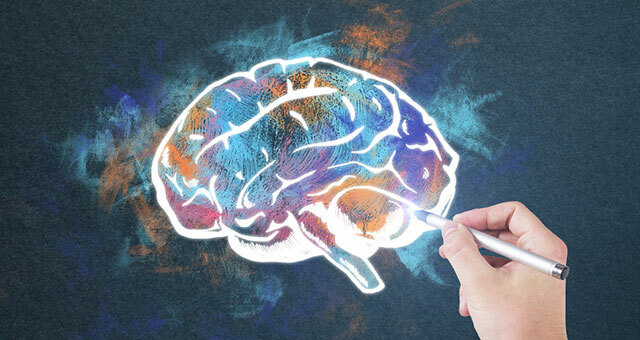 Your endocannabinoid system is a system of neurons, neural pathways, neurotransmitters, and cannabinoid receptors in your central nervous system that interacts with cannabinoids. It is present in your lungs, liver, intestine, spleen, kidneys, lymphatic and nerve tissue and plays a part in regulating appetite, pain sensation responses, mood, memory, immune function and response, stress response, sleep, cellular life cycles, physical exercise response, fertility, pregnancy, prenatal and postnatal development. Unlike THC slanted strains, high CBD strains take an entirely different path within the body. The two of them are focused on entirely different destinations. THC has its eyes set CB1 receptors in the body, while CBD is focused on CB2 receptors. CB2 receptors are found in the immune system, brain, gastrointestinal system, and peripheral nervous system. In many ways, it was the ongoing discovery of the health and treatment benefits of CBD that gave wings to the legalization of medicinal marijuana. The best CBD strains have always had users raving about how they can effectively treat their conditions with a natural alternative to traditional medicine. There are piles of anecdotal evidence suggesting CBD has neuroprotective, antiepileptic, hypoxia-ischemia (oxygen deprivation to brain or blood), anxiolytic (anxiety), antipsychotic (psychosis and psychotic symptoms), analgesic (pain), anti-inflammatory, anti-asthmatic and antitumor properties to it. 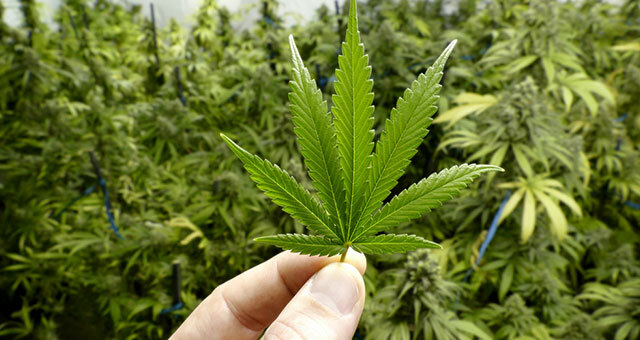 Marijuana is one of three different types; Sativas, Indicas, and Hybrids (a mix of Sativas and Indicas). CBD strains can belong to any of the three, so let’s look at some of the more well-known ones that qualify as high CBD strains. Charlotte’s Web – This strain is effective for reducing the severity of epileptic seizures. It has almost no THC content, making it ideal for pediatric use or for anyone who doesn’t want psychoactive effects. OG Kush CBD – This strain has an even 1:1 CBD / THC ratio and is renowned for helping with tension, pain, anxiety, and sleeping disorders. Rafael – One of the members of the CBD rich strains club, with an 18:1 CBD / THC ratio and good for insomnia and digestive disorders. Harlequin – Always CBD heavy but has enough of THC content to balance it nicely. Harlequin is reported to be good for people with GAD (generalized anxiety disorder). 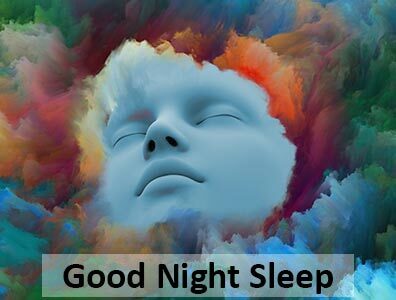 CBD Compassion – Has a roughly 1:1 CBD / THC ratio most of the time and reported to be especially good when taken right before bed for body tension, pain, and insomnia. CBD MediHaze – This strain has an even ratio of CBD to THC and is good for relieving social anxiety. Jack Herer – A ‘daytime’ sativa good for treating low-grade stress, depression and anxiety. CBD Shark – Sports a nice 1:1 CBD / THC ratio and relieves pain, anxiety, inflammation, and more. Remedy – Definitely one of the best CBD strains for sheer potency. It has a CBD / THC ratio as high as 15:1 and excellent for addressing seizures, pain, inflammation, and anxiety. Pennywise – Has a balanced 1:1 CBD / THC ratio and can relieve arthritis, epilepsy, and cancer-related pain and other symptoms. Note: Hybrids generally have the highest CBD percentages of the 3 strain types. Cannatonic – Can go as high as 5:1 in favour of CBD, and effective for muscle spasms, migraines, and chronic body aches caused by psychological stressors. 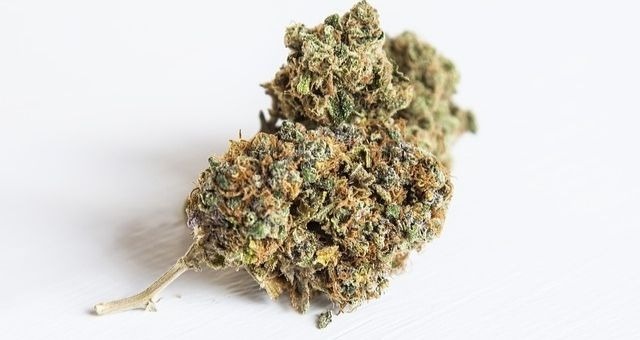 Harle-Tsu – A mix of 2 strains both high in CBD – Harlequin and Sour Tsunami – and effective for sleep disorders, anxiety, and being unable to relax. Ringo’s Gift – The hybrid equivalent of Remedy, this is another one of the CBD strains that is full of cannabinoids. It has gone as high as a 24:1 CBD to THC ratio and is very good for addressing attention disorders (ADD / ADHD). 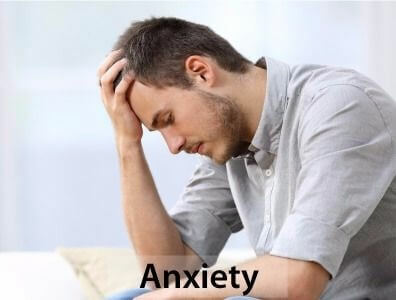 ACDC – Commonly comes in at 19% CBD and is good for treating problematic anxiety disorders in people of any age. Valentine X – another CBD-heavy strain with a strong 25:1 CBD to THC ratio and recommended for seizures, inflammation, and pain and other effects of cancer. There’s much more to learn about the best CBD strains. Finding the one that will be best for you often involves speaking with a knowledgeable dispensing practitioner. What you’ve read here is simply an introduction to high CBD strains. Hopefully it will give readers a little more incentive to look into the therapeutic value of CBD for themselves. Here’s to you finding the best path to your best health. For the longest time marijuana was available in one of two forms; bud or hashish. That was the extent of your choices if you wanted to ‘smoke’ cannabis. Nowadays, however, there are many new ways where THC and CBD are derived from the plant and then incorporated into different forms. Some forms of cannabis consumption still involve ingesting cannabis the classic way, but others allow you to get high without any combustion at all. 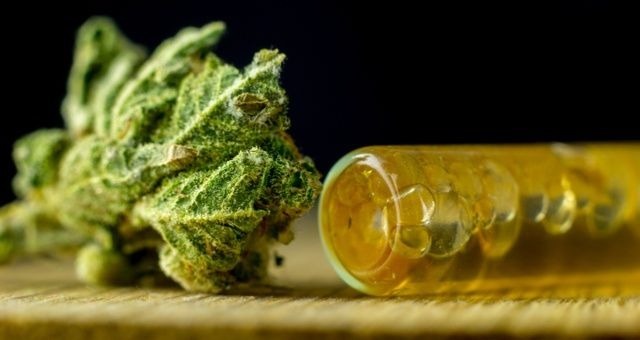 Hash oil is one that you smoke MOST of the time, but not always and it typically packs way more of a psychoactive punch that standard bud or hashish will have. Hashish oil is made in many different ways, and at the simplest level it’s oil that’s extracted from the buds of the cannabis sativa or cannabis indica plant. The reason it’s more potent than bud or standard hash is because it has a higher concentration of THC. Learning how to make hash oil isn’t overly difficult, but getting your hands on all the right supplies can be. We will start by saying that making hash oil in your home isn’t a good idea for most people, as it involves flammables and open flames. There is a risk of fire and one can develop even if you’re handling the torch very carefully, plus in worst case scenarios there could even be an explosion. Proceed with caution. 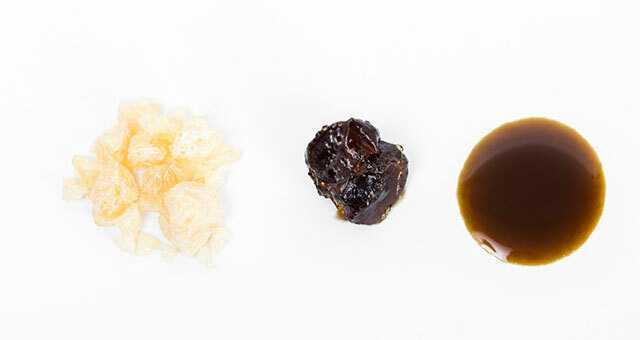 Now that that’s out of the way, let’s talk about making hashish oil and give you a basic overview of the process. First, someone will grind the cannabis up as finely as possible. Then they flush it with a solvent, usually ethanol or carbon dioxide but occasionally makers will choose butane because it is cheaper. That is really not a good choice, though, because it’s toxic and potentially explosive. Heating and then pressurizing the mixture will release the hash oil from the cannabis bud fibres. Once the mixture is cooled, you can collect the finished product. Most people will then scrape the oil into some type of container. Glass containers are preferred because they don’t allow the oil to stick to the sides of it quite as thoroughly. Another popular choice is to then put the container in a freezer, as the cold temperature will make it less gooey and easier to handle. That’s the basics of how to make hash oil. The next step in our exploration of the ins and outs of hash oil? How to smoke hash oil. Again, there’s a need to be very up front about certain facts that we’re sharing in your best interests. 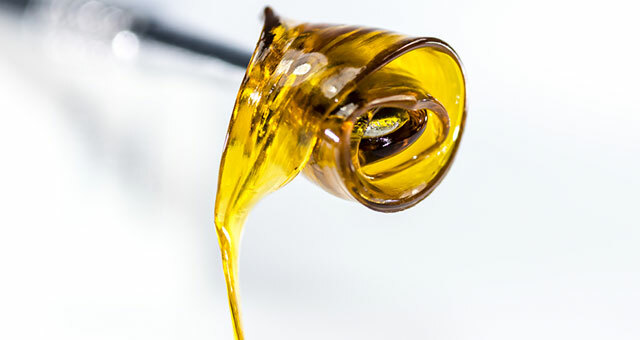 Hash oil is nearly always much more potent than marijuana in its flower form, or standard hashish (which is most commonly gold seal hash or rock hash). For this reason it is best to proceed with caution. The best rule of thumb for it is to take a toke and then wait for a minute or two before taking a second one, and then the same wait for taking a third one, and so on. There is no risk of an overdose of THC, but it can make people pass out, vomit, or more generally just be ‘too’ high and that’s never enjoyable. We’ll go ahead and assume that you’d like to enjoy your hash oil, so just take it slow and see where your right level is. Now you’ll heat the titanium extension using the blowtorch until it is visibly burning hot. Proceed to press your dab of hash oil against the heated bowl and inhale. 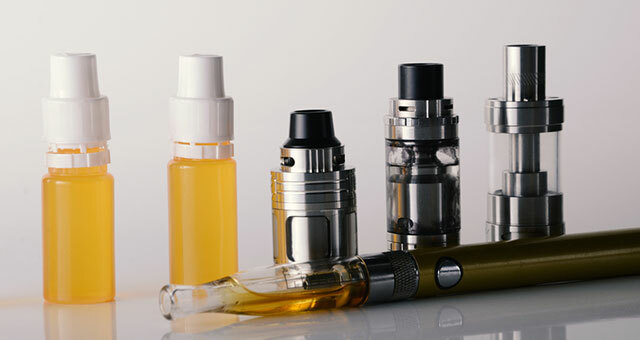 Vaporizers are increasingly popular these days for the fact they are healthier alternative to smoking. Vapes are good for bud, hashish, hash oil or any of the derivatives like shatter, butter, etc. 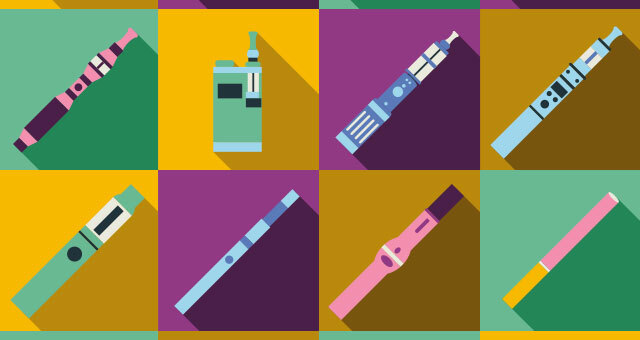 No matter which substance is in them, a vaporizer doesn’t burn it like a pipe, bong, or joint will. Instead, the vaporizer’s battery heats up its atomizer to a temperature so hot that the THC resins ‘vaporize’ and you are able to inhale them WITHOUT inhaling any smoke at all. I personally love my vape (DaVinci Ascent – the best around in my opinion) and it’s my preferred way of enjoying cannabis. Using a hash oil vape is fairly straightforward. Most of them will have a glass lined chamber or a removable glass jar that you insert into the atomizer chamber. Simply put some of your hash oil into the chamber or jar, close it, and power up the vaporizer. Choose the temperature that’s best for vaping your oil and wait for it to show you the ‘ready’ display that indicates the chamber is now at that temperature. Take a draw and enjoy! Topping is a better choice for those who’d like to enjoy some hash oil without getting a powerful, super concentrated dose in just one toke. It involves simply drizzling some of the oil onto some marijuana bud, either in a joint or on top of a bowl you’ve just packed. This is a much less intensive way to enjoy it, and it really does a nice job of upping the potency of joint or bowl as well as changing the flavour nicely too. Try it, see if you like it. One little tip here though; ideally you’re keeping your hashish oil frozen so that you can extract it and relocate it more easily. Use some type of implement like a pin or even toothpick to scoop out and spread your oil. 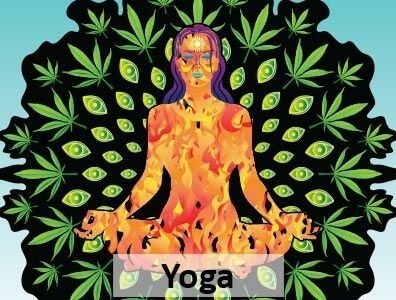 Otherwise the body heat from your fingers will cause it to goo up again big time and some of it will be hopelessly stuck on your fingers rather than in your bowl or joint. Alright, anything you can eat doesn’t involve smoking, but we still think we should mention edibles here. ‘Pot gummies’ are also all the rage these days, and there is a lot to be said about them for people who’d like to get high without the odour that comes with smoking it in any manner. 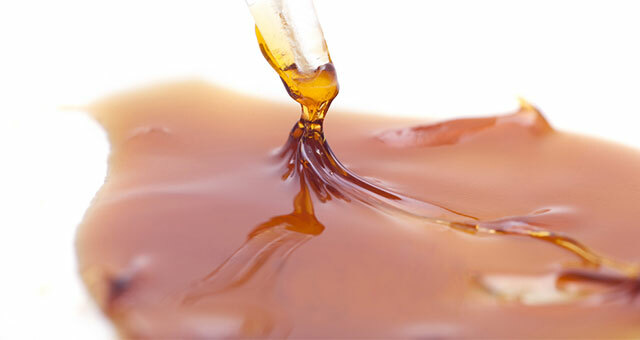 Edibles are typically made from hash oil as well, and making them is often as simple as mixing the oil into the confectionary syrup before baking it into a gummy. That’s our introduction to making and smoking hash oil. 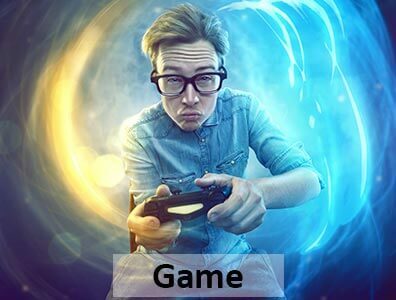 Of course, there’s a whole lot more information out there so if we’ve piqued your interest with our quick overview here then we encourage you to learn more. Let’s say we were to go back in time 10 years. Back then if you saw someone drawing on a vape pen it would make you look twice and think ‘what on earth is that thing’? You might think it was a portable thermometer or something similar until you saw the person exhaling a cloud of vapour. Nowadays of course vape pens are very common, and they’re a good alternative if you want to enjoy ‘smoking’ without actual smoke and all the tar and / or carcinogens that come with it. You insert a vape cartridge, activate the battery-powered atomizer, and in a few seconds you’re able to enjoy a puff that doesn’t come with all the odour and conspicuousness of smoking a cigarette or a marijuana joint. Vapes are popular these days because they are a healthier alternative to smoking and allow the user to enjoy cannabis more discreetly. They’re also popular because vaping THC vape juice is a very efficient way of achieving the high users are after. You can often medicate yourself nicely with one or two draws on a vape, whereas it might take several tokes of a joint comprised of similar-quality cannabis bud to get there. Plus, there’s less of that telltale pungent odour on your breath and clothing. So now that we’ve touched on the benefits of vaping cannabis oil briefly, let’s have a look at what makes a better vape cartridge. 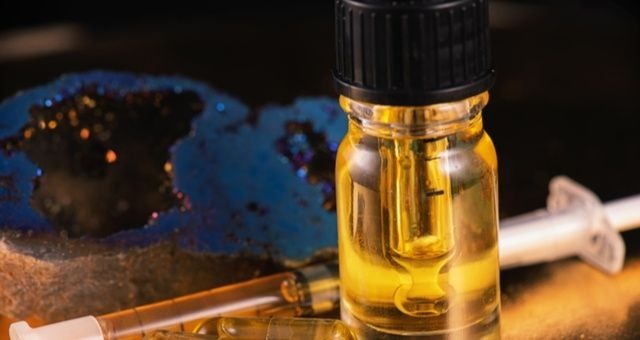 It’ll make you a more informed buyer if you decide to go smokeless and choose to enjoy the marijuana and hash oils that are commonly referred to as THC vape juice instead. As mentioned, there’s more than one type of vape cartridge. Some vapes won’t have a cartridge and you load your product directly into the atomizer chamber. Others will take only one type of cartridge or be compatible with different cartridges. 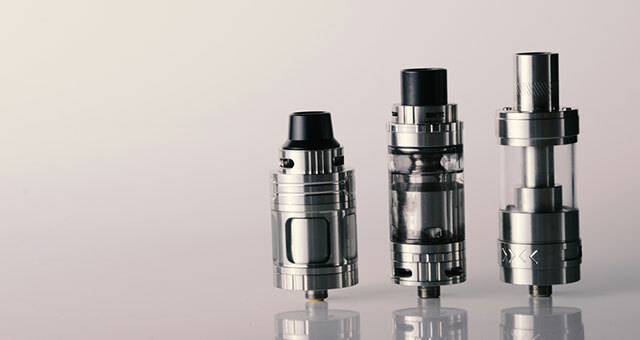 Refillable tanks with a ‘510’ threaded standardized vaporizer battery insert – almost all vape pens have this type. Refillable vape pen cartridges are a good choice because they’re refillable so you don’t discard them and create waste. Disposables – disposable vape pens contain a pre-charged battery that continues to function until you empty the tank. 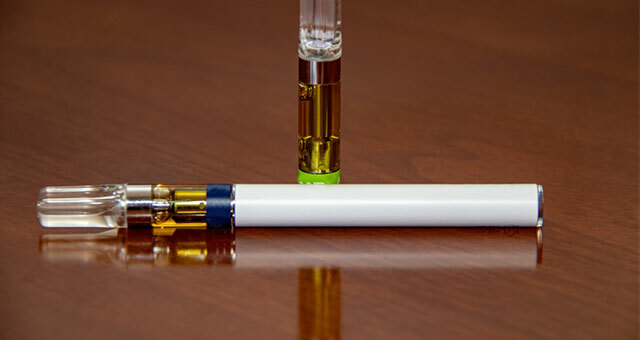 The pre-filled vape cartridges are built into the pens and cannot be removed or replaced. CO2 –CO2 distilled vaporizer cartridges are a good choice because their formula provides viscosity levels that are ideal for vaporizing. Often these oils keep some of the natural plant terpenes that are natural thinners for the THC vape juice. They also make it more flavourful with flavours specific to the source strain of cannabis. Food-grade terpene flavourings are the most common, and while they serve the purpose they don’t enhance the experience much. Distillates – Cannabis distillates are highly-refined oils containing all pure cannabinoids. You can make them from almost any type of hash oil. However, the distillation process removes all of the residual terpenes and natural terpene thinners found in the source hash oil. Thinning agents like polyethylene glycol, propylene glycol, vegetable glycerin, or medium chain triglycerides like coconut oil are common. The PG and VG thinners don’t mix well and there are some health risks associated with their use (including the fact that they can have carcinogenic ethylene oxide). 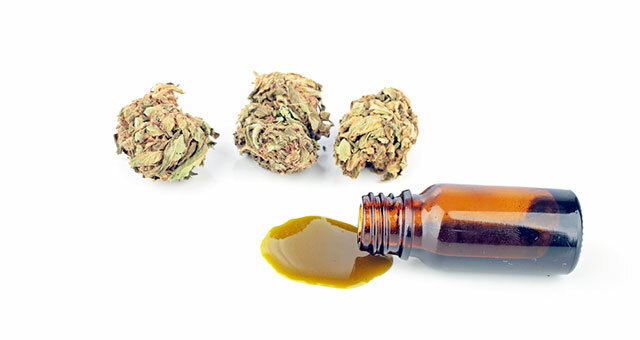 MCT oils mix well with cannabis oils but they tend to leave an unpleasant aftertaste. Full-spectrum cartridges – These are the best cartridges. Full spectrum means the oil has every one of the different bioavailable molecules found naturally in that strain of cannabis. All active compounds remain, and this improves flavour and potency. They are hard to come by though, and always pricier. Keep in mind that ‘pure’ products are uncommon because it requires better equipment and complex extraction processes to create them. That means more expense and less profit. Glass tank and ceramic cell oil vape cartridges are best. Glass tank cartridges feature heat resistant glass and are great for THC vape juice of any consistency. Ceramic cell oil cartridges have a vertical ceramic rod that absorbs and heats oil within the cartridge. They promote much more efficient vaporization and are ideal for thick distillates and oils. Finally, only take your business to reputable dispensaries where staff can answer specific questions regarding vapes and vape cartridges. Rolling a joint is still the classic way of smoking pot, and there’s a lot to be said for them. If you’ve got the dexterous fingers required to take some herb and a rolling paper and turn them into a perfect cylinder of smokable goodness, that’s great. You can twist one up and enjoy the convenience of passing it between whoever else is fortunate enough to be in attendance. Others, however, won’t be so nimble fingered. Or have any number of reasons why rolling a joint is unnecessary or impractical. Even the best rollers will probably have a weed pipe in their arsenal as well. And they’re often the best choice if you’re smoking solo. Today, we’re talking about pipes and what you can do to use them efficiently. One of the only rules for smoking a joint is to turn it over in your fingers as you toke on it to ensure it burns down evenly, and doesn’t ‘canoe’. With a weed pipe there’s more that goes into smoking it well. The ability to roll joints well isn’t something that was developed overnight. And so most of us became familiar with how to smoke a pipe first. There’s a few pipe-smoking basics to learn if you’re new to enjoying marijuana, and so let’s have a look at them. The first thing to understand is that while you toke on a joint, you’ll be better advised to draw on a pipe unless you like the idea of coughing heavily and risking being the one to ‘volcano’ the bowl. That’s a term used to describe when the smoker coughs into the pipe and fires its valuable contents skyward. Needless to say, that’s going to be a big disappointment, and even if you’re the only one enjoying that bowl. You can hit a joint much harder than you can a pipe, and this is even true for those with the toughest lungs. When you hold the lighter over the bowl of your weed pipe, make sure that you take a light inhale to bring the flame down over the herb briefly. Then let off of it to finish your moderate inhale. Do not inhale hard and burn the bowl intensely while inhaling the same way you would on a joint. You’ll quite likely find yourself exhaling long before you like to because you’ve hit it too hard and fierce coughing will soon follow. Not only that, but you’ll burn through the bowl more quickly and you’ll have less of an opportunity to savour the moment. That really is rule #1 of how to smoke a pipe – smoke it with slower and lighter inhales. It’s not going anywhere, and likely neither are you. Another typical consideration when smoking marijuana from a pipe is your flame source. 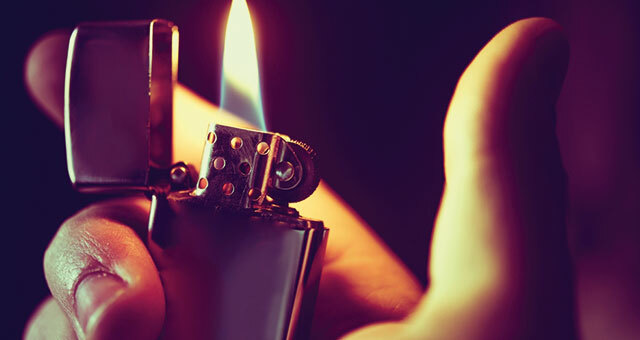 While some of you may still be striking matches, the majority will be using a lighter. How you hold the inverted lighter above your bowl is important as well. 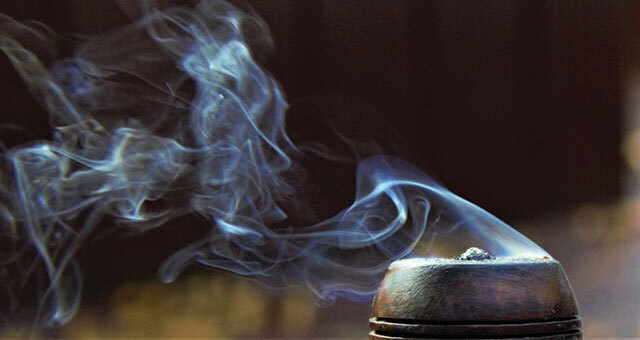 Burning your bowl with the TIP of the lighter’s flame is our rule #2 for how to smoke a pipe well. What goes on before you put flame to product is also important. In particular, it’s good to know how to pack a bowl. The first tip here is to make sure that you grind up your weed sufficiently. Or, if you’re enjoying hashish, that’s separated into small pieces, or ‘nerds’ as aficionados refer to them. With weed it is especially important to do this, as a finely ground amount of product spread evenly around the bowl will smoke most nicely. Gold seal hashish is sometimes referred to as ‘putty’ hash. It is quite easy to break off small nerds with your thumbnail and pile them atop each other in your bowl. Rock hash doesn’t break up so easily, so apply less force to have pieces of it crumble off. You can break up your marijuana by hand or with a pair of scissors, but a bud grinder does a far superior job in much less time. If you don’t have one, we highly recommend them. Once you’ve prepped your product, now it’s time to pack the bowl. No matter what type of weed pipe you have, from a one hitter to a bong and everything in between, there’s a standard technique for enjoying the best smoking experience. First, make sure that your screen or toke hole isn’t overly blocked with resin. And for that matter ensure that the entire length of the opening to the mouthpiece is free of blockage. Keeping your pipe relatively clean is important. Now pack your bowl one of two ways; if you’re smoking weed then you should put it down in the bowl so that it rises up in a mound to a small elevated peak in the middle of the bowl. This will provide the perfect point for the flame to make first contact with the bowl. The second and maybe third tokes of the bowl should have the flame placed there as well to promote the most efficient burning. As the bowl slowly becomes expended, you should move the flame around the edges of the bowl. That way you can smoke the unburnt product that will be found there. If you’re smoking hash this guideline isn’t quite as applicable. It is unlikely that you would be packing a bowl full of hash nerds the same way you would with ground marijuana. It is best to just build a small pile of them in the center of the bowl. Then apply the flame to them liberally, moving it around as needed to finish them. Hashish is great for a one hitter weed pipe as you can quickly break off a chunk and plunk it in there for a quick toke. A common term for finishing a bowl is to ‘cack’ it. Once you’ve cacked your bowl to ash and you’re feeling fine after enjoying its contents, here’s what you should do. 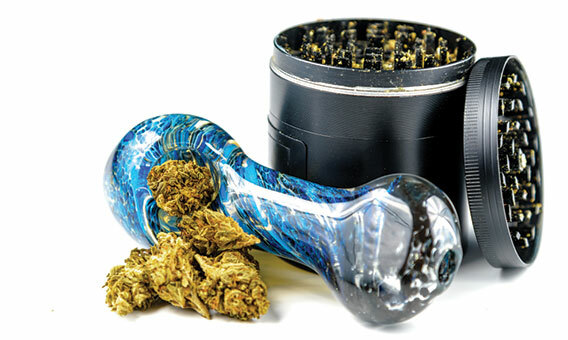 First, empty the bowl of the weed pipe with some type of implement rather than tapping it over an ashtray or elsewhere. The bowl will empty more completely. And you won’t run the risk of chipping it if you tap it a little too hard on whatever surface. Now use your thumb and forefinger to strip away the paper to the other end of the tie, so that only the length of the wire remains with one piece of paper intact on the end. The paper end will travel through the pipe and scrape resin, ash, and any other contaminants from the walls of the opening along the pipe. It works really well and keeps your weed pipe clear for maximum toking efficiency. Works extremely well for one hitter pipes. Try it for yourself and see! The hot topic of the moment is definitely the much publicized potential health benefits of CBD oil. Pure CBD oil is made from extracting one of the many chemicals which makes up the cannabis plant, and mixing this with an edible oil. CBD isolate crystals are said to be the purest form of this compound. CBD is harvested from industrial hemp by extracting it from the plant. It is then added to many items such as body lotions, lip balms, and vaping pen liquids, or made into crystal form. What are the effects of CBD isolate crystals? 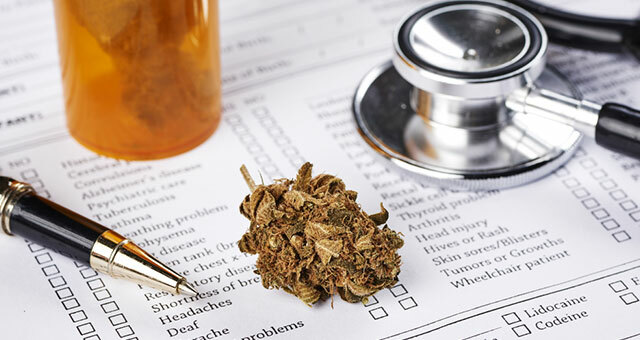 Today, most people know that cannabis makes people high and is sometimes prescribed to treat many medical conditions. But, it’s not yet socially acceptable or even easily available to legally buy. This is where CBD oil products come in. They provide all the medical benefits of cannabis without the psychoactive, mind-altering effects of THC (the psychoactive element). What’s even better? They’re readily available to buy in established high street health food shops. CBD oil isolate crystals are made from specially cultivated hemp plants which have no THC, but lots of the CBD chemical which promotes overall health. Regular users report that the crystals have helped them deal with, manage, and control conditions including epilepsy, stress, serious long-term pain, insomnia, Alzheimer’s, Parkinson’s, anxiety, and more. What dosage of CBD isolate crystals is best for me? CBD Oil isolate crystals are non-toxic, so you don’t have to worry about becoming ill if you have too much. However, it is important to get the dose right to get the maximum benefit from the product. So, it’s best to start low and increase gradually until you achieve the desired effect. Don’t forget that things like your general health, weight and natural metabolism speed will affect the way each dose of CBD isolate crystals works. 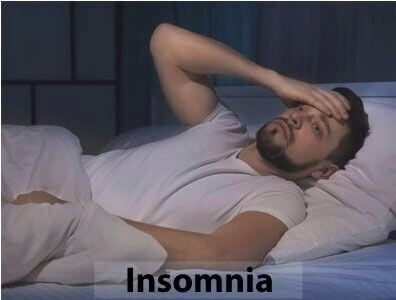 In most cases experts recommend a starting dosage of anywhere between 5-25mg a day. The average starting point is around 10mg a day. You should weigh this out precisely using scales, rather than guessing. Remember that if the recommended dosage for CBD isolate crystal is 4 times a day, each dose will be one quarter of the day’s total allowance. After your first dose wait a few hours until you feel the effects. If nothing much happens it is okay to increase the dose slightly next time round. Once you get the effect you want, aim to maintain that dosage for at least a week. You may need to increase the dosage again, but be patient to avoid wasting the crystals. What are the best brands of CBD isolate crystals? 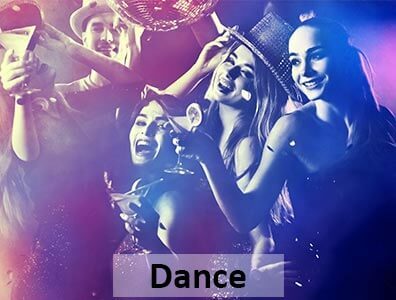 There are many CBD isolate powder for sale, so much so that it can be a little overwhelming. Do your research to make sure the product you buy is safe, pure, and properly tested, before buying. The Reviewster site has compiled a handy list of top brand CBD isolate crystals which is well worth a read. But always check out reviews on other sites as well. That way you get a well-rounded view and don’t get affected by bias. The details surrounding CBD legality are pretty grey, but we have made great strides as we move towards CBD legalization. A main factor in determining CBD legality is where it is the source that it’s extracted from. 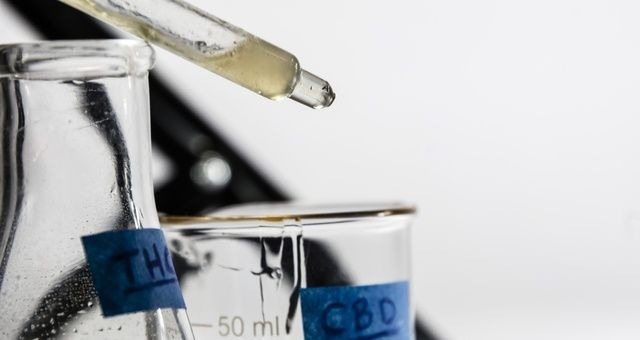 CBD extracted from the marijuana strain is federally illegal. But, CBD extracted from proper domestic industrial hemp sources is legal. 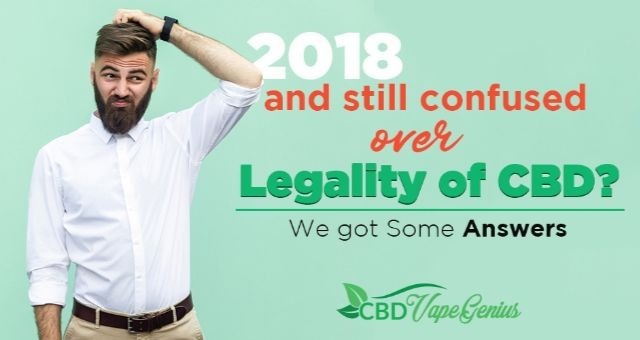 To understand the current legal CBD landscape, we have to go back and look at the history of CBD. President Richard Nixon approved The Controlled Substance Act (CSA) on October 27, 1970. The CSA is the federal U.S. drug policy that monitors and regulates the manufacture, importation, possession, use and distribution of certain narcotics, stimulants, depressants, hallucinogens, anabolic steroids and other chemicals. Risk for potential harm and abuse. Accepted medical applications in the U.S.
Safety and potential for addiction. The CSA classified the cannabis plant as a schedule I drug, making it federally illegal to buy or consume in the United States. The issue with this ruling comes about when we look at the cannabis plant as a whole. 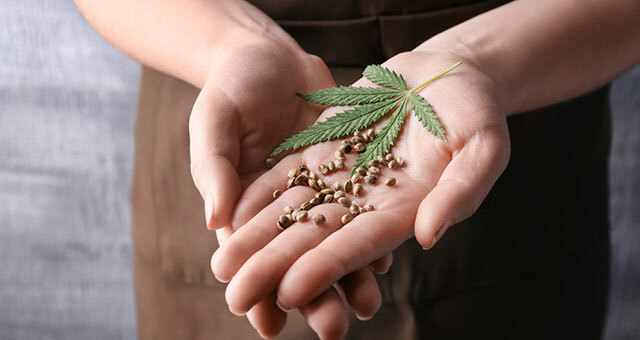 There are many species of plant that make up the cannabis family – the two heavy hitters being marijuana and hemp. The compounds found in these species, THC and CBD respectively, effect the body in many different ways. CBD has been shown to have no psychoactive properties associated with its consumption, so, it poses no danger to those who consume it. 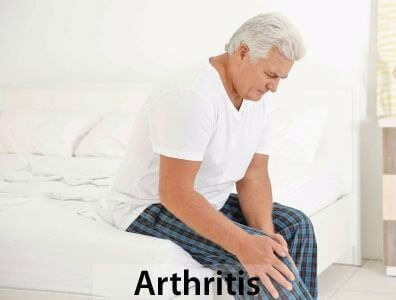 Medical research started to show that CBD may have significant medical applications for certain conditions. With that, research needed to define a distinction between CBD and THC, so that both were not though to cause psychoactive effects. As time passed, many pro-CBD groups pushed for this distinction so that CBD legality could be possible throughout the U.S. The 2014 Farm Bill is a declaration of policy about agriculture released by the federal government. 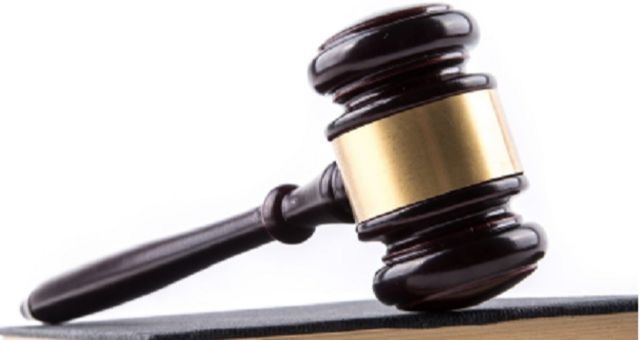 Section 7606 of the bill, entitled Legitimacy of Industrial Hemp Research, reads that certain states would allow for the licensed growing of industrial hemp under supervision of each state’s department of agriculture. 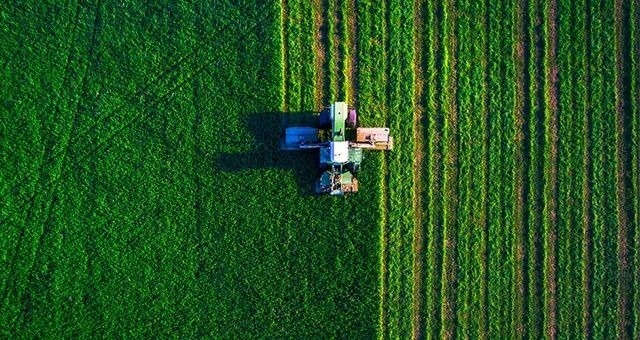 This was followed up with the Industrial Hemp Farming Act of 2015, which amends the CSA to exclude industrial hemp from the definition of “marijuana”. This lawful distinction between hemp and marijuana has had many implications for CBD. Now, those against legalization won’t be able to use marijuana as a blanket statement to include hemp as well. The DEA also released an internal notice on May 22, 2018 to all staff members and agents in the field. 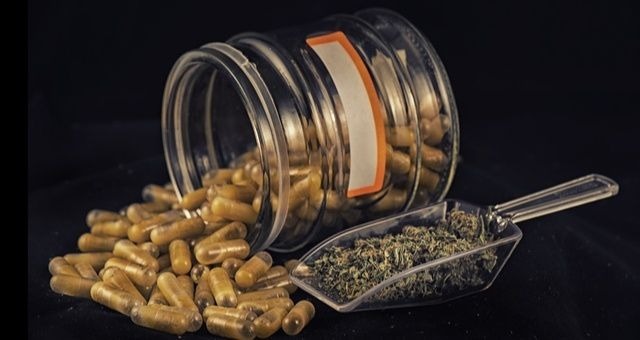 The notice confirmed that products and various materials containing cannabinoids are not illegal if they come from sources in line with the 2014 and 2015 Farm bills. This clarification from the DEA goes hand-in-hand with the laws passed by congress. If the source of the CBD extraction is legal, then the product is also legal. The future is looking great for CBD enthusiasts! 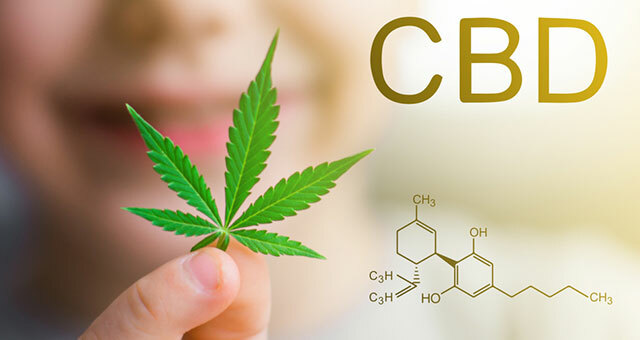 If this article was valuable to you and if you’re interested in trying CBD yourself, take a look at CBDVapeGenius products here! With less than a few months to go until cannabis become legalized in Canada, it’s time for cannabis dispensaries to start thinking about how to attract new customers. 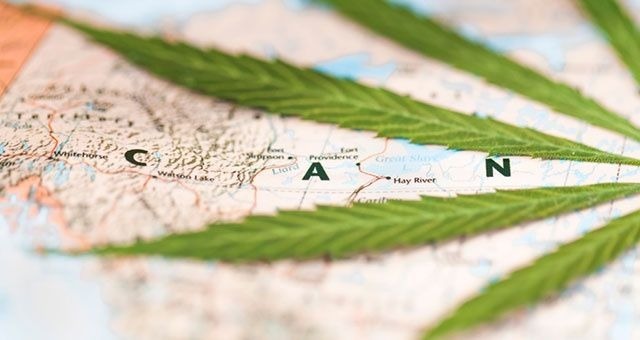 Depending on your location, you may find that the new cannabis laws prohibit you from selling certain strains in certain regions. 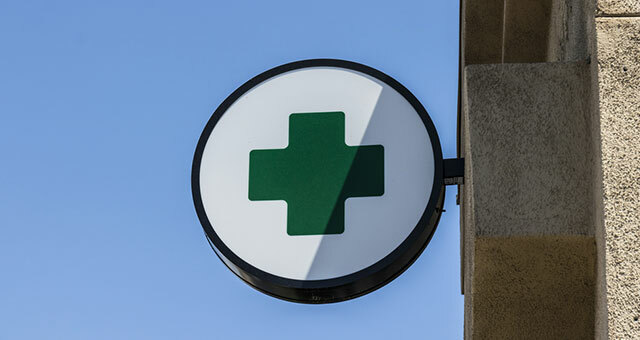 But, if you’re operating a legal medical marijuana dispensary, you’ll want to ensure that patrons know you’ll be around long after the government sites are up and running. Here are some ideas on how you can attract new customers to your cannabis dispensary now and in the future. Many small business owners make the mistake thinking that social media will do the work for them. But with so much noise on the internet, it’s important that you engage with your customers so that they come to trust your brand. With so many cannabis dispensaries, customers want to know that they’re getting high-quality product. There are only a few ways to achieve a high level of trust with your customers, and one way is to simply talk to them. Get out in your neighborhood and speak to people on the street about your business. 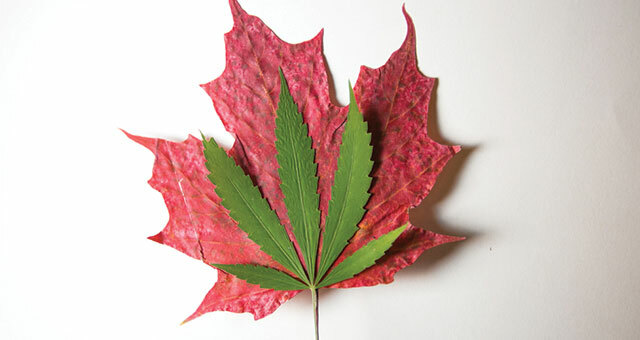 Learn about their preferences and thoughts about cannabis legalization in Canada. You might be surprised about what you what you learn when you ask. Certainly, anyone operating a medical marijuana shop would have done market research when you first invested in a medical marijuana shop. 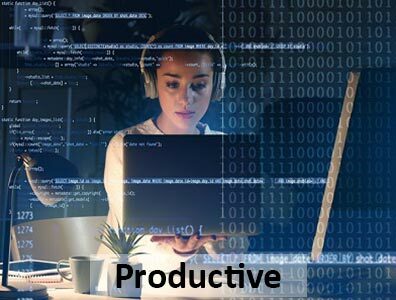 But, now that the tables are turning, you want to do whatever you can to ensure that you maintain a good working relationship with your community. Find out the needs and wants of your community so that you can better serve your customers. Don’t let ignorance kill your business in the wake of changing laws. In the coming months, there is going to be a lot of information coming and going in the media and if you’ve seen the evening news lately, you’ll know that the cannabis industry is often misrepresented by the media. If you want to ensure that people understand your company, try to get some airtime on your local radio or television network. Becoming an advocate for the cannabis industry is an effective way to to educate and inform people about the benefits of cannabis. Keep in mind, there are many differences between recreational and medical cannabis. As the cannabis industry shifts towards legalization of recreational cannabis, it is important to continue to draw the line in the industry and identify your brand as one to be trusted. Throughout this time of great change, people opposed to cannabis will continue to blanket the industry. Controlling your message and being the face of the medical cannabis industry in your area can go a long way as people begin to consider their options using cannabis as a medical treatment at the outset of the legalization period. 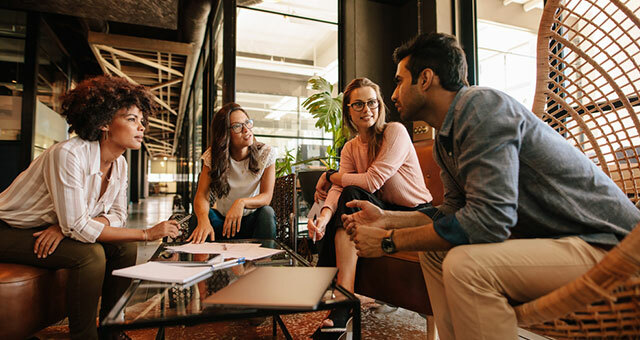 As we prepare for the clock to wind down on the legalization of cannabis in Canada, you’ll want to encourage your existing customers to keep an open mind about your organization. Take the time to reach out to them and ensure they’re satisfied with your products and the service you provide. Ask your customers what you could improve and what their experiences have been thus far. The more you know a customer, the better you can serve them. 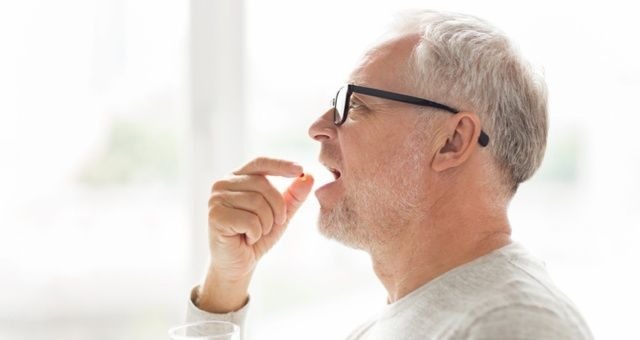 And while you can’t change medical prescriptions, you can provide insight into things that can help, suggest topics of discussion that could be had between patient and doctor to manage symptoms, and more. You want your cannabis dispensary business to be seen as educational, and not just transactional. Customers know that they can purchase cannabis pretty much anywhere. However, if they want a service that helps them better understand their health needs, they’ll continue to come to you to educate themselves about the benefits of cannabis and what products work best for their health needs. Regardless of the changes that will be taking place over the next few months, as a business owner, you should remain committed to growing your medical cannabis company and sharing your knowledge about cannabis. Competition will be increasing in the coming months with people who know far less than you do about the industry, and who are trying to cash in on the new laws. But, with change comes challenge. If you are prepared to help people manage those challenges, you could come out on top. 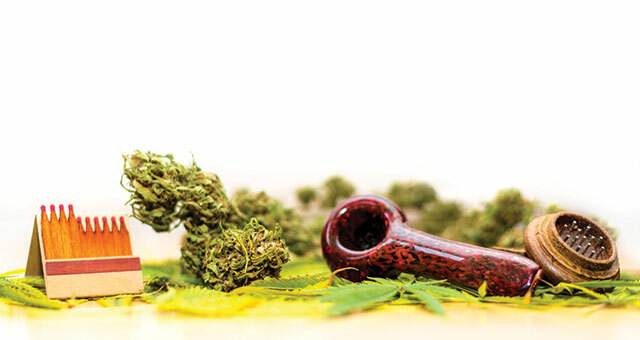 There’s going to be a lot of questions that arise as people become accustomed to seeing cannabis in the store fronts, liquor stores, and on street corners in a legal way. Consider launching blogs, articles, and other informative pieces of content that can help bring your customers – and new customers – back to your site and business again and again. You can launch this information from your online headshop or start a new site for educational purposes. Finally, encourage people to speak up about their cannabis use. If there remains a culture of shame or hiding related to cannabis, this thing is never going to get off the ground. The whole point of legalizing it was to shed light on the industry and demystify its use. Do your part in removing the mystery and your cannabis dispensary will continue to grow.